Julie's painting environment includes both the hills and farmland of Vermont and the small island of Criehaven, off the Maine coast. 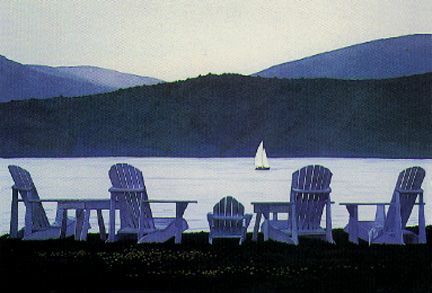 She often spends her time in Vermont and New Hampshire, working with other artists, which allows her to broaden her painting approach in watercolors and oils. When in Maine, Julie produces more isolated work, reflecting the calm simplicity of her island home.